!! OMG, WATCH: X-Men digs into Jean Grey’s origins with DARK PHOENIX trailer !! Our first impressions are that this new X-MEN venture reads very soap-opera-y, but that Marvel train is coming into the station and it isn’t gonna stop anytime soon! Check out the trailer for the Jean Grey origins story DARK PHOENIX. Thoughts? !! OMG, quote of the day: Will Smith is still trying to cope with the Genie backlash he’s been getting !! 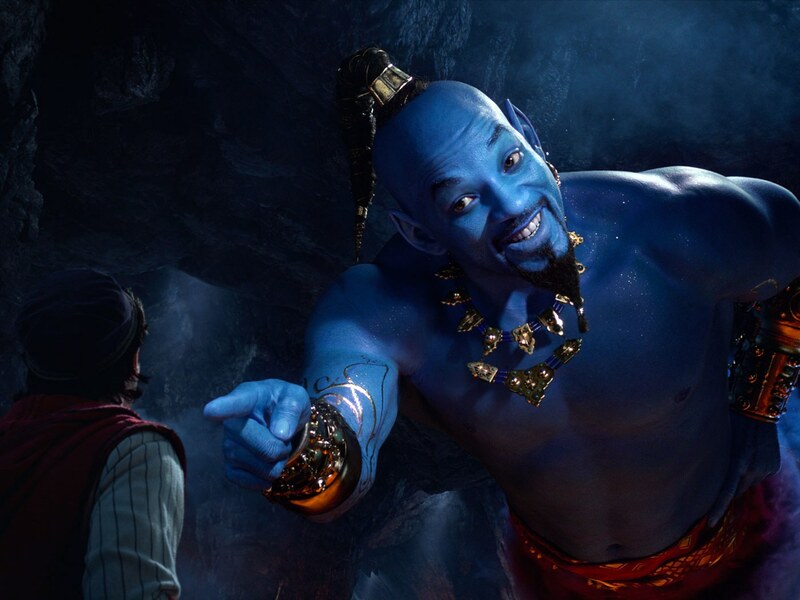 – Will Smith, after the fan reaction to blue Will Smith was overwhelmingly negative when his Disney‘s Aladdin character was unveiled for the first time in February. !! OMG, WATCH: M. Night Shyamalan’s GLASS gets the HONEST TRAILERS treatment !! !! OMG, WATCH: How your fave kitties are trained for TV and film !! The 2019 remake of Stephen King‘s “Pet Sematary” stars two different rescue cats that play the character of Church. These cats had never acted before, and it took a lot of work to get them to do what the director wanted on set. We spoke with the animal trainer and animal coordinator for the film, Melissa Millett and Kirk Jarrett, to find out what it takes to train a cat for TV and film. Check out the celebrity kitties above! !! OMG, WATCH: The full trailer for the ‘LION KING’ CGI-fest reboot has arrived !! It looks pretty gorgeous! But can it usher in a new feeling different from the one the original gave us? Check out the full trailer for Disney‘s LION KING reboot above! !! OMG, WATCH: North Bergen High School’s production of ALIEN will blow your mind !! I believe the children are our future – Teach them well and let them …make INSANE highschool theatre productions of ALIEN! Check out North Bergen High School’s amazing effort above!